Mostly used for studio projects. Regularly maintained and good condition. Sold in pairs including flight case. Price is for single fixture. 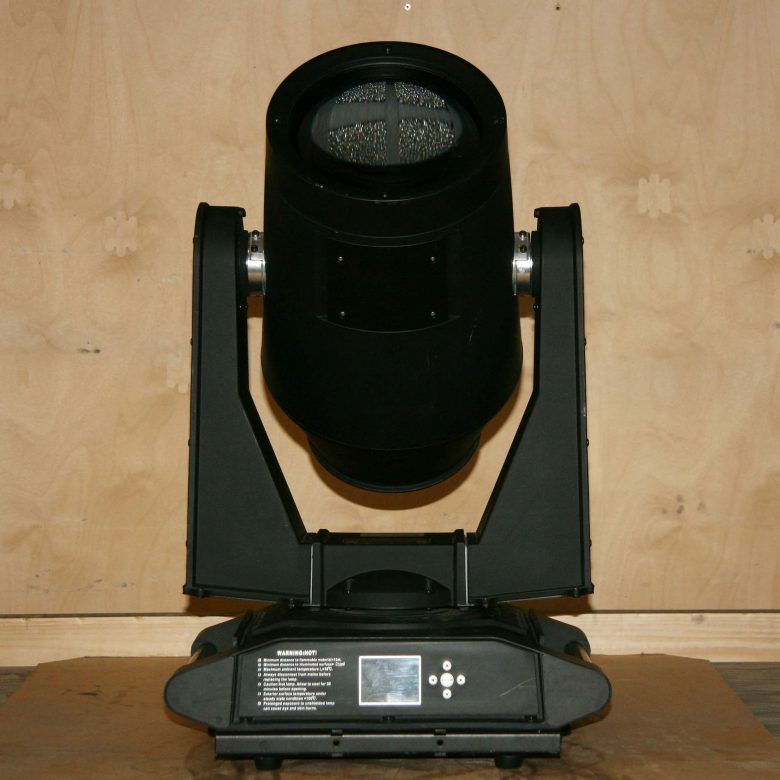 The LightSky AquaBeam is the perfect solution for outdoor live events and productions. Rated at ip54, the Aquabeam has withstood intense testing that included months of continuous extreme weather, driving rain, baking sun, dust, and windblown debris; all the while standing tough against the elements and delivering brilliant beams and amazing effects. ​Double dimming board and super-smooth dimmer. Independent shape design with fire-proof PA66 plastic material. Pan 540°, Tilt 250°, accurate scanning and automatically positioning.